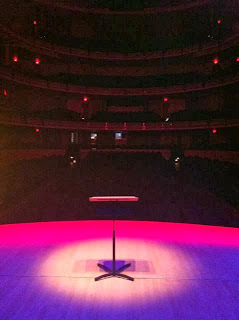 The first production of the season with Pro Coro Canada was a special one. 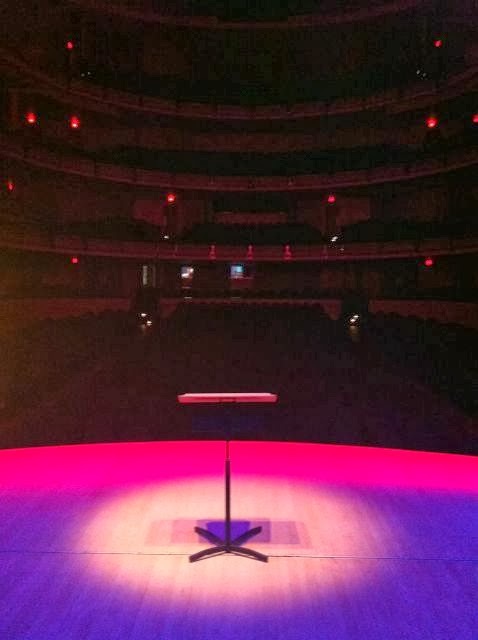 Instead of just blogging my whole rehearsal process, I decided to immerse myself in the experience and see what thoughts surfaced as a result. The one that has been lingering in my mind is the concept of artistic collaboration. 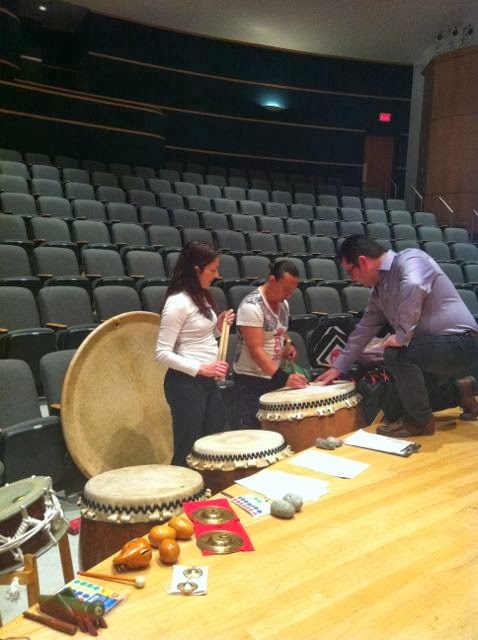 Pro Coro Canada paired with Booming Tree Taiko in order to incorporate taiko drumming within choral pieces. 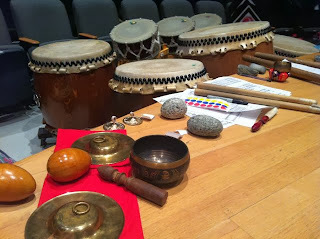 Tormis' "Curse Upon the Iron," R Murray Schafer's "Magic Songs," and Eric Whitacre's "Cloudburst" was infused with an array of varying taiko drums. Two seemingly unrelated artistic forms: choir and taiko drumming paired perfectly together. 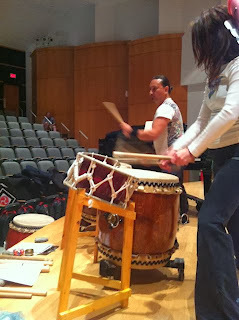 It was as if the pieces should have been written to incorporate the dramatic forms of taiko drumming expression. The sheer showmanship of power and grace demonstrated by Booming Tree Taiko duo, Greg and Twilla, elevated the performance. Pro Coro also commissioned a piece from Vancouver-based composer, Kristopher Fulton. 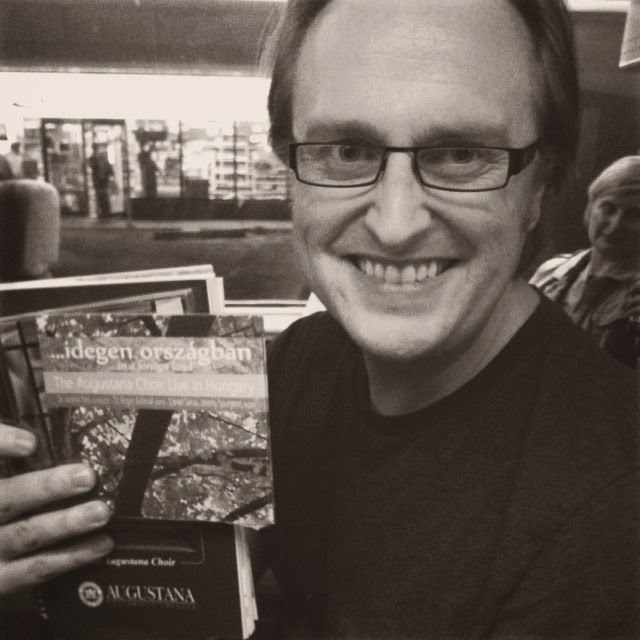 Pro Coro's Artistic Director, Michael Zaugg, met with Kris to discuss the inspiration for the commission, which led Michael to introduce Kris to the Belgian Graphic Novel, Twilight Cities or Les Cités obscures. The visual images from this series inspired the five part soundscape series for this world. It is amazing how bringing together two elements eager for artistic collaboration can synthesize such a compelling musical compound. There is a trust within the relationship in addition to the flexibility for exploration and discovery. I loved watching Greg and Twilla try out different percussion sounds they could generate for each of the movements of Schafer's "Magic Songs," each creating a different tone until the desired mood was isolated. I can only imagine the excitement when a unified chord was struck between Michael and Kris to discover their joint passion for artwork and stories. There is also a sense of discovery that comes from commissioning a Canadian composer. In the last season alone Pro Coro premiered works by Canadian composers, Cy Giacomin, Jason Noble, and Peter Togni. I hadn't even heard of some of these composers prior to singing in Pro Coro. The first time I heard one of Kris' works was at the end of the Cantata Singers' "Sh*t Choristers Say" video. When Kris arrived to rehearsed Twilight Cities, it was a huge luxury to be able to turn to him and ask in an inquisitive tone: "What were you thinking while writing this passage? Did you want the tonality to be in A?" I vividly remember Michael mentioning how musical collaboration was something he was planning in his Artistic Director role. At the time, it seemed like an excellent thought to me; however, I don't think I truly grasped what it would look like upon execution. Pro Coro's opening concert this season solidified for me what successful collaboration can look like. The music community is a small one... and the choral one is even smaller. Sometimes it feels like we are pitted against each other, as if only one type of choir with a certain demographic can exist or only one composer's work will be accepted for a commission. Can't we all agree that there are enough external forces making it difficult to thrive as Artists that the last thing we need is animosity between Artists? I know it is not easy when the structure of our system is not always conducive to this thinking. There are only so many pools of audience members and limited grant dollars. However, I have seen positive things result when we recruit the talents of other artistic community members. We work alongside each other with trust and respect and we are a stronger community because of it. I am not saying that our musical community fails to function in this way. In fact, I am delighted with the sheer frequency of collaborative overlap between groups, but I am also aware of those moments when it isn't so easy to maintain "the more the merrier" philosophy and survival instinct sets in. We are all looking for a medium to share our music, voice, and culture with the world; it is a great feeling when we are unified in that goal and are able to do it together. It's true that choir and choral is a real niche musical realm. And the combination of the drums and the choir must've been so interesting. I think what I like the best about this post is the feeling that everyone wanted to collaborate and it wasn't just a tactic to bring in audience.